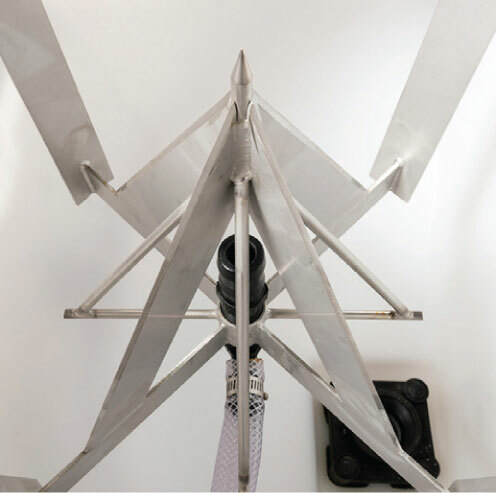 Field-tested and farm-perfected, Agwerks’ own StraightShot Chem-Station is compact, easy to use and operates faster. 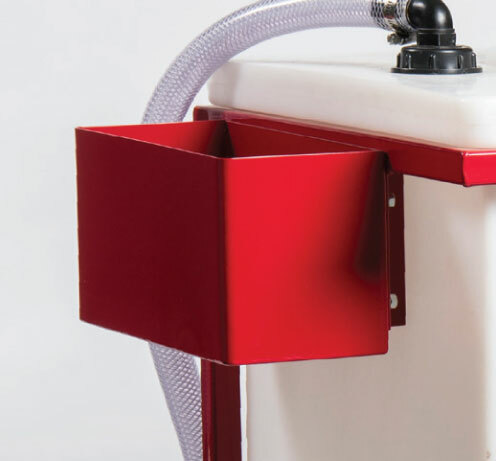 There are two efficient models to choose from – the 44 USG (167 litre) and the 67 USG (254 litre) tanks. 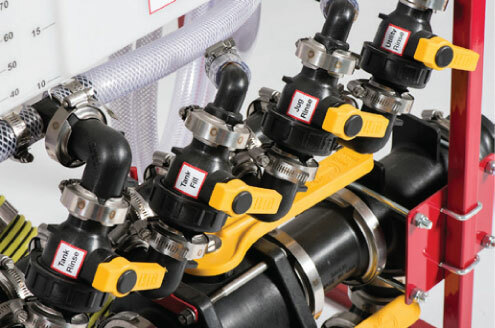 The fill line of the StraightShot has no elbows, which can slow down fill rates. 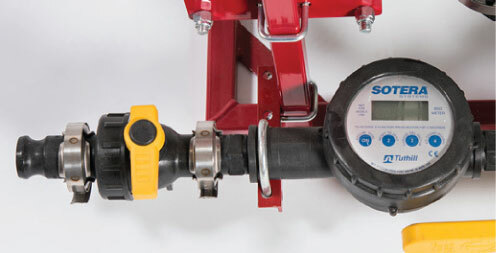 Our three-inch camlock connections on the inlet and outlet create a straight through flow to the sprayer. 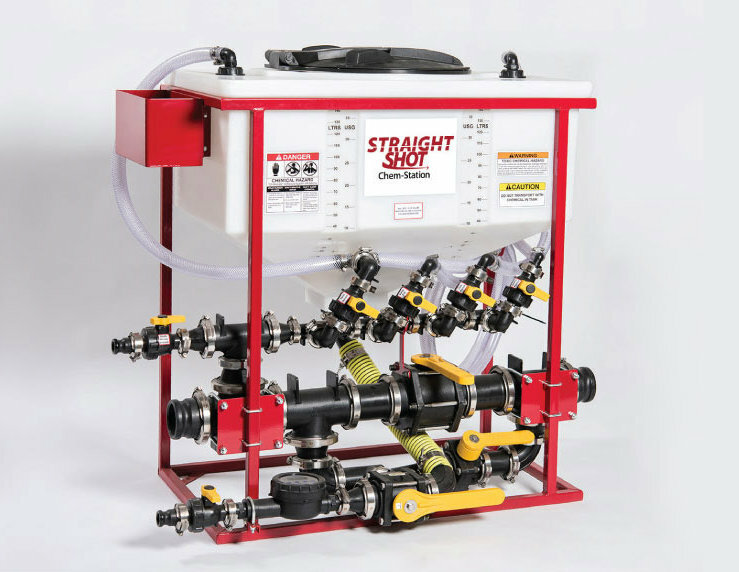 Thanks to our industry-leading, two-inch full port venturi, Agwerks’ StraightShot Chem-Station operates 30% faster from the fill line to the sprayer. 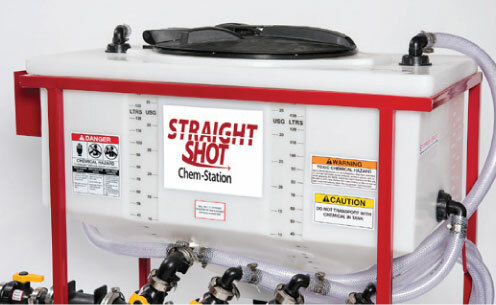 With the StraightShot you’re already set up to load and spray bulk chemicals. Our powerful venturi inducts chemical from a shuttle or barrel without having to purchase an expensive chem-transfer pump. 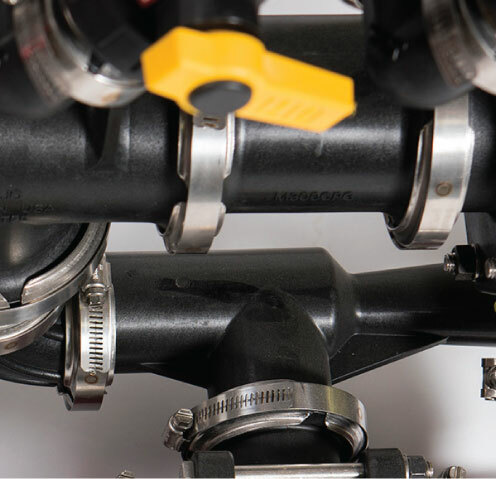 Cross-contamination of chemicals is eliminated by keeping all chem products downstream from your transfer pump, and by thoroughly rinsing the tank with two rotating nozzles that provide 360-degrees cleansing of the tank interior. 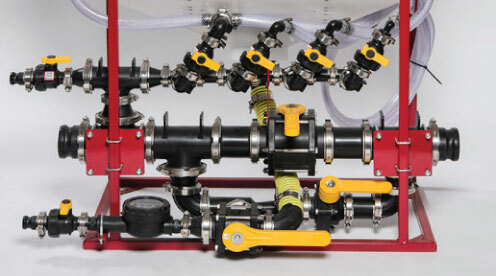 The bulk chem hose can also be rinsed with fresh water via the bulk hose rinse valve. Handy utility box safely stores gloves, goggles and tools. 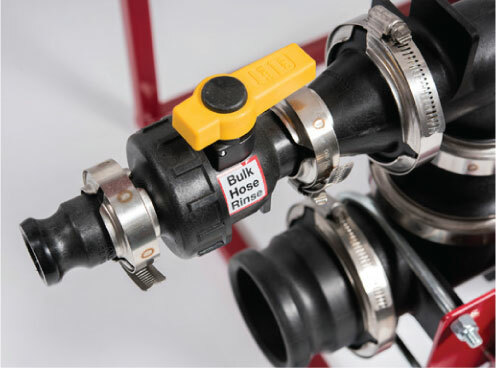 Most of the StraightShot’s fittings are flange-style which guarantee leak-proof performance and offer easy replacement. 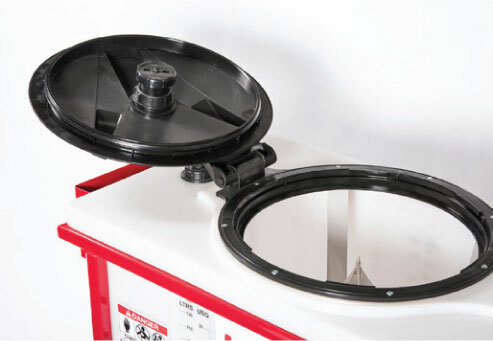 The secure, hinged-lid means you’ll never lose it on the job or in the shop. No more pouring chemicals. Our unique knife assembly safely punctures, slits and spreads jugs. Once drained, jugs are rinsed, ensuring complete use of all chemicals and safe disposal. Our rectangular tanks—44 USG and the 67 USG tank which also sits in the same frame—are designed to minimize deck space. By back-sloping the cone toward the rear, much of the StraightShot’s plumbing is tucked underneath. 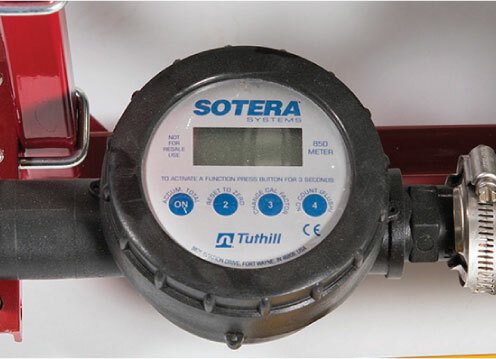 As it operates, the Sotera 850 Meter eliminates air from its count. This action saves money by helping reduce chemical overuse. Can be calibrated without dispensing fluid by selecting a calibration factor from 20 stored settings.